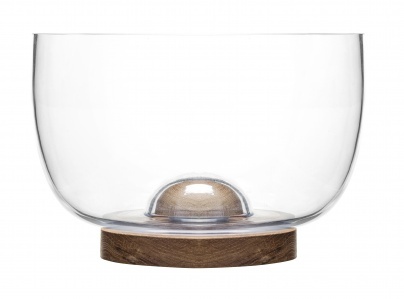 Fusing together glass and oak wood is a Sagaform speciality, and this small serving bowl certainly doesn't fail to deliver. The oak base is also detachable and helps protect both the glass bowl and table underneath it from being scratched or marked. Have you seen our Oak bowl comes in a larger size?